My goodness! It's June already and my 3 new t-shirt designs are sooo late for the first quarter of the year. I'm supposed to produce a shirt every month, (or 3 shirts every 3 months) so that means I must cram for another 3 by the end of this month... But you just can't rush art hehe. Excuses, excuses! 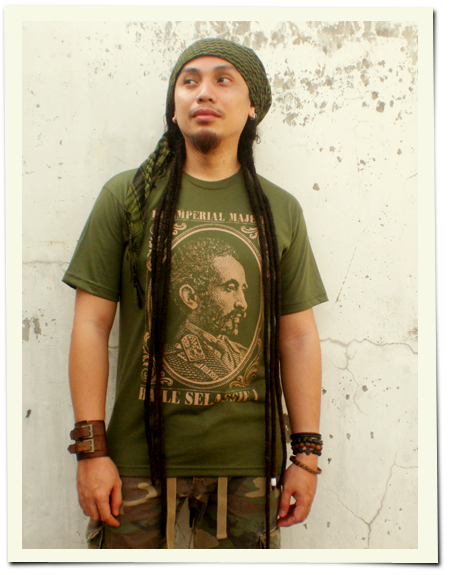 Anyway, this new t-shirt design is dedicated to my Rastafari brothers and sisters out there. H.I.M. 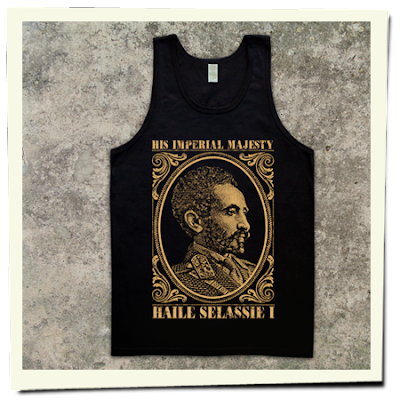 Haile Selassie I (1892-1975) was Emperor of Ethiopia from 1930 to 1974. His traditional lineage is thought to be from King Solomon and The Queen of Sheba. The members of the Rastafari Movement, that emerged from Jamaica in 1930, saw him as a messianic figure. He is also a defining figure in Ethiopian and African history. 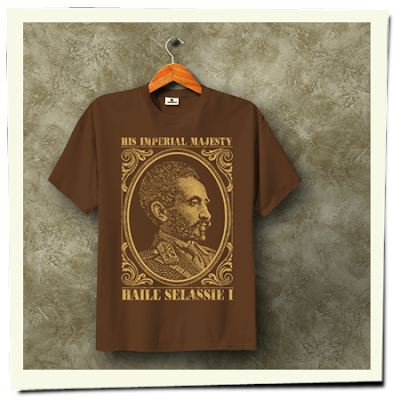 Want a Selassie T-Shirt? Visit my online catalog and send me a message!